We can set our camera to choose the exposure and film speed for us, we can let the camera choose the white balance, and even make sure the scene is in focus but there is still a big decision that even the best cameras in the world can't do – choose the composition. The composition can make the difference between a great photo and a mediocre one. There are two man variables in choosing the composition, the viewpoint and the crop. This tutorial introduces some important things to consider about your viewpoint. The viewpoint refers to the position we take the photograph from. This will also be the position you place the viewer in when they are looking at your finished shot. The viewpoint can dramatically change the feel of the photograph. 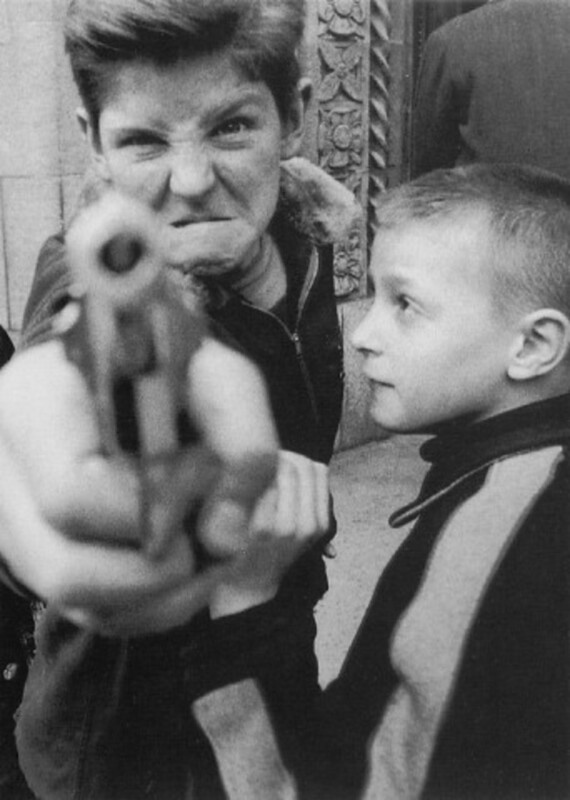 One example of this is the American Street photographer, William Klein. Klein was actually an artist, working with photography and one of his goals was to re-invent the style of the photographic document. His photographs were often high contrast, blurred and out of focus. In the 1950s he set out to photograph the streets of New York, and his viewpoint was up-close and personal. He places himself and his camera right in the middle of the chaos and action on the streets of New York. When you look at his compositions, the subjects appear to be right in front of you, sometimes even jumping out of the frame and confronting the viewer. Another way of using a viewpoint is to create a strong sense of distance and space. Famous for his landscape photographs of Yosemite National park, Ansel Adams positions himself from high vantage points. From his high and distant viewpoints he can capture the dramatic expanses of mountains, rivers forests and skies. As a result the viewer can see and feel the sheer size and scale of the scenes in his photographs. Adams is careful not to include any people in the wilderness, which, along with the vastness gives the photograph a feeling of solitude. © Trustess of the Ansel Adams Publishing Rights Trust. 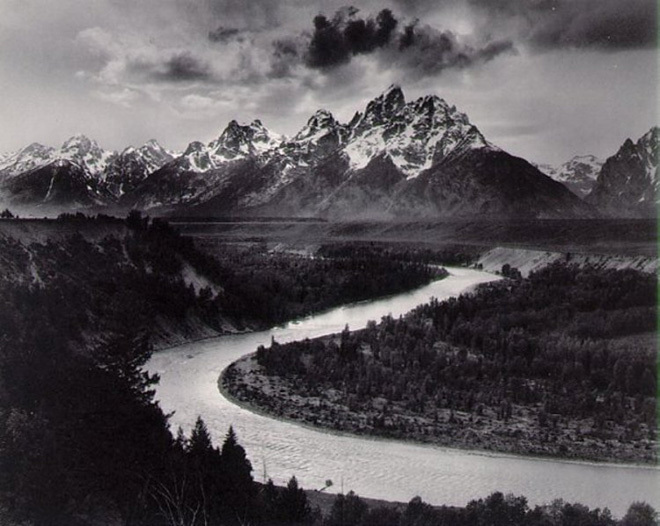 The work of Ansel Adams marks another aspect of the viewpoint that can impact the look of your photograph – the angle. The angle of the viewpoint can highlight or emphasise the shapes, angles and scale of the subject. A good example is a photograph by Henri Cartier Bresson, called Hyères taken in France in 1932. 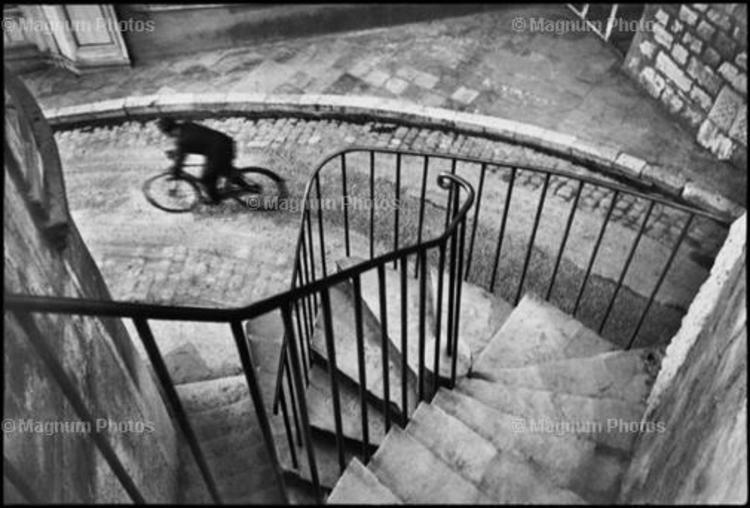 He is pointing the camera at a sharp angle downwards, highlighting the descent and geometry of the steps below him. 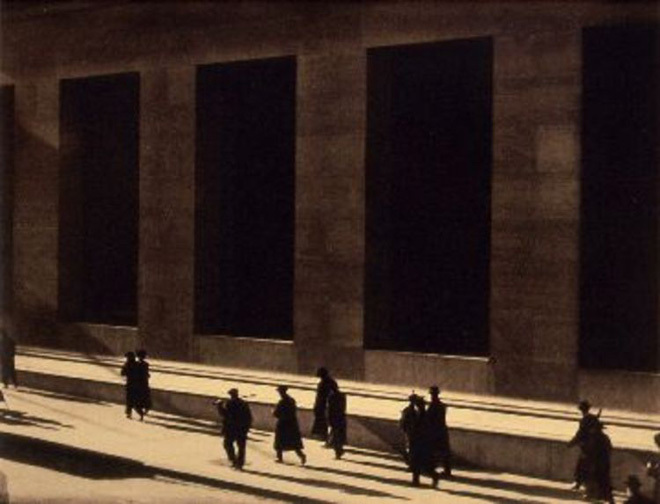 Photographer Paul Strand takes photographs that are often from unusual angles, such as his photograph called Wall Street taken in 1915. He is in a slightly elevated position, pointing the camera straightforward, giving a viewpoint that appears to flatten the scene, and make his subjects feel surreal and even abstract. Photographer Eugene Atget, uses dramatic angles in his photographs to document the streets in Paris, France. 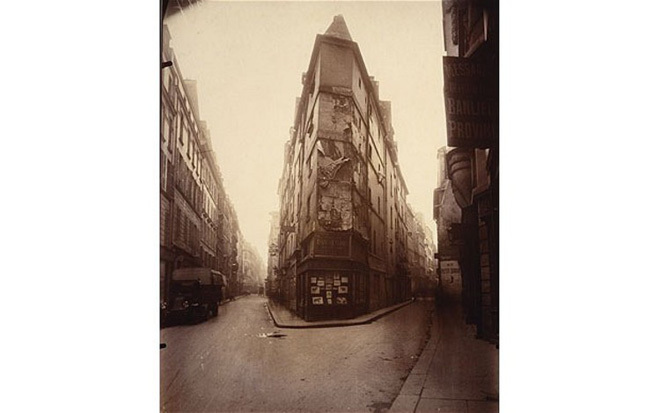 In his photographs of buildings he often raises the camera up, with a viewpoint form low down, emphasizing the towering height of a building. It is important to see how you can move your position to change the perspective of the scene in front of your camera. It's great practice to experiment with how moving your viewpoint can emphasise different aspects in your photograph. It can also place different parts of the subject in different places in the frame. ← FOOTPRINTS Competition- Serenity theme! !